Everyone, by the way, should bookmark Rev. Munk's new type-in.org, which collects information on type-ins past and present. 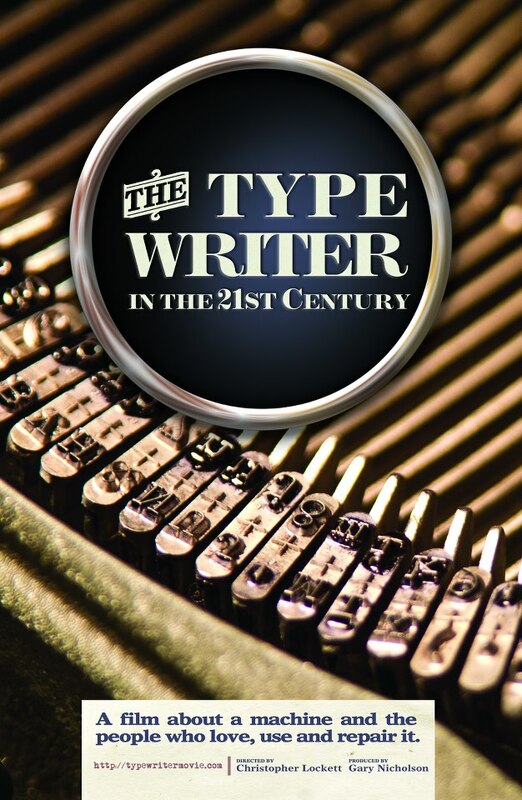 Gary Nicholson gave me the heads-up that the documentary The Typewriter (In the 21st Century) is getting U.S. screening dates settled. There's a new page on their web site listing dates and places and the promise of more news to come. Don't miss it! Is this Craigslist ad a wonderful sign of the times or what? Global search for the typosphere? Help! I'm sure I'm not the only one who has been totally lost for hours looking in old posts on all the blogs of said Typosphere, but when you're looking for something specific it's difficult. Is there any way we could make a searchable archive of all the posts from all our blogs - so we can search with ease? I haven't had much experience with Google Custom Searches, but surely they would be powerful enough to search the URLs of the blogs of the Typosphere, bring up the relevant posts to our queries. Just a little idea, really, that would make the constant typewriter information unearthed easy to find again. I don't know of a way to make a massive searchable archive. One thing you can try is limiting your Google search by adding site:blogspot.com -- this will search only Blogger blogs. Of course, that includes lots of non-typewriter blogs, and excludes typospherians using other platforms (Wordpress, etc.). Another problem is that typecasts aren't searchable. I try to make up for this to some extent by adding labels to my posts, but I'm sure there are many items on my blog that are very hard to find because they are in non-searchable typecasts and my titles aren't revealing. After I sent my first email I had a look at what Google Custom Searches can do, and they might be useful. I think you can have a list of domains, which may be powerful enough to have the subdomains of Blogger, and then the domains of WordPress and whatever else people are using, too. I didn't even think about the typecast situation. But if there was a way to search, most of the titles of the posts give a lot away about what will follow in the typecast. But some of the titles are ambigous, like you said, and that would add another complication for searching. But surely it's worth having something. Besides, most of the "how-to" posts, seemingly, don't have a typecast for the instructions, and they're the ones that I know I'd be searching for the most. And many of the long-ish history sort of ones (like Robert Messenger's) are mostly computer-typed, so they would be easy to find if we had a search function. Can anyone help with this technical question? Any suggestions? The Urban Legend Institute, the store supporting the nonprofit WordPlay in Cincinnati, will be selling typewriters such as this Underwood no. 6 that I cleaned up for them. 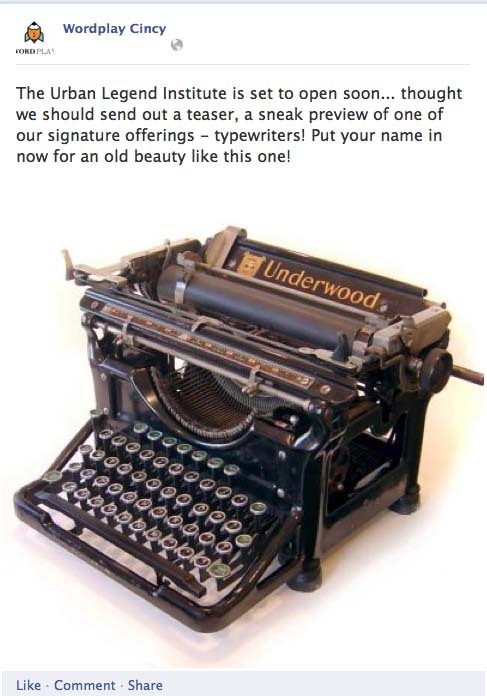 I am looking forward to contributing to America's latest typewriter shop! You can learn more about WordPlay on this video.